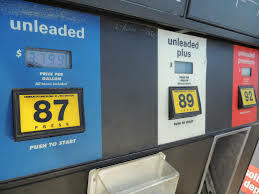 AAA South Dakota reports the state’s pump price average is $2.35 per gallon for regular, the same price the blend was one week ago. AAA projects that more than 34 million Americans are planning to take a road trip this Memorial Day weekend– which is 800,000 more drivers than last year. The rise in road travel could pressure pump prices to continue to increase into the summer months, potentially returning to the higher national averages seen in April.